For many hours the OnLive Belgium web page was reachable today and led some to believe that OnLive, the cloud gaming service, has launched in Belgium. You could find OnLive Belgium at www.onlive.be, and you could view the page in Dutch at nl.onlive.be and in French at fr.onlive.be. You could sign up for free at www.onlive.be/go/signup, in Dutch at nl.onlive.be/go/signup and in French at fr.onlive.be/go/signup. All these addresses now redirect to the www.onlive.com web page. It's not yet clear why the OnLive Belgium web page was up today, but it was a great chance to gather some info on OnLive's European expansion plans. Below you can read the original article about the OnLive Belgium launch with some interesting information. OnLive offers everything from AAA blockbuster games to multiplayer titles to quirky indie hits and more. You can buy or rent the games in the OnLive games library, or subscribe to the OnLive PlayPack for unlimited access to a growing library of more than 200 console-class games. You can play almost any game on the service for 30 minutes free with no discs and no downloads. OnLive streams games from its powerful data centers in the cloud to a wide range of devices, letting you play on almost any PC or Mac, HDTV with the OnLive Game System, and even Android tablets and smartphones. You can check out a range of touch-enabled titles, or bring along a controller like the Universal OnLive Wireless Controller, and you've turned your tablet or smartphone into a powerful gaming console. You buy a game once and pick up your save games everywhere, simply by logging in. You can even start a game at home and continue on your tablet on your way to work or school. When you play in the cloud, you never play alone. Log into the OnLive Game Service and you're online with hundreds of thousands of gamers worldwide, who are playing the same games as you. Dive into the massive spectating Arena to watch other gamers play live, friend them and strike up a voice chat, or drop in and join the action with one click. Show off your skills in the massive spectating Arena, or capture Brag Clip videos of your best gaming moments to share on the service or Facebook. Post achievements and notifications, and your friends can jump in and join you with instant-launch directly from your Facebook wall. The OnLive PlayPack in Belgium is also a straight number to number conversion from dollars to euros, as it costs €9.99/month. The OnLive PlayPack is a monthly subscription cloud gaming service from OnLive, where you pay $9.99 per month in the US, £6.99 per month in the UK and now €9.99 per month in Belgium to get access to a growing list of over 200 games. 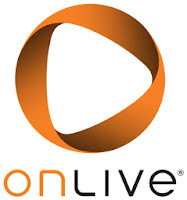 As a member of the OnLive PlayPack you also get 30% off of any OnLive game or hardware. The OnLive PlayPack includes anything from AAA games like Batman: Arkham Asylum, BioShock, Borderlands, F.E.A.R. 3 PlayPack Multiplayer, Homefront Large-Scale Warfare Multiplayer, Just Cause 2, NBA 2K11, The Witcher to old game legends like Deus Ex and indie game hits like World of Goo. To support their OnLive investment, Belgacom is giving away one month of free OnLive PlayPack worth €9.99 to Belgacom Internet Everywhere customers. The OnLive Game System and the Universal OnLive Wireless Controller are not yet available in Belgium, but OnLive writes that they are coming soon. OnLive has also stated that support for TVs and tablets is coming soon to Belgium. One interesting tidbit is that Frozen Synapse, a game that was part of the OnLive Indie Showcase, is available to demo and pre-order on the OnLive Belgium web page. The game is nowhere to be found on the other OnLive web pages. Ravaged is also available for pre-order for €19.99 (€13.99 PlayPack), which is 20% off from the full price of the game when it launches. The full launch price will be €24.99 (€17.49 PlayPack). Belgian gamers can also pre-order Darksiders II for €49.99 (€34.99 PlayPack) and get upgraded for free to the Limited Edition of the game which includes the Argul's Tomb add-on pack, which will become available one month after the Darksiders II launch in August 2012, so sometime in September of 2012.